In a surprise move, Instagram severely limited the data they make available to 3rd parties. All data for Instagram Business Profiles has returned to landscapes. Instagram data processing has returned to normal for Business Profiles. Instagram Business Profiles will continue to have the same metrics and analytics in Rival IQ as before Instagram’s changes. You can access all historical data including those Instagram users without business profiles that you’re tracking. For non-business profiles, no new data is available after April 4th. 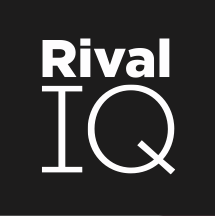 0.3% of Instagram Business Profiles in Rival IQ are missing data. Our team is actively working to solve this. The Instagram Audit tool in Rival IQ will continue to update, allowing you to see which Instagram handles in your account have Business Profiles. Due to a lack of features in the new Instagram API, you will not be able to click to an Instagram post or see preview images for videos within Rival IQ. We are hopeful Facebook will return this data to the API so that we can restore this capability to your account. Instagram Discover is currently being updated, and we’ll share specifics of how that will change once it is finalized in the next day or so. Instagram Business Profile data is currently backfilling and will begin to reappear in your landscapes over the next 24 hours. Using your Instagram Audit tool in Rival IQ you can determine which handles you track are affected by Instagram’s changes. Our team is currently working to ensure this tool will soon provide live updates going forward. You’re now able to start adding new Instagram Business Profiles to your landscapes. It will take 24 - 48 hours for the new data to start appearing in your account. Handles that are not Instagram Business Profiles will receive an error message and cannot be added. Instagram Discover will also return shortly. Because of the changes in the Instagram API, some data will no longer be available. We’ll provide more details on these changes when the fix rolls. Our engineering team is continuing to make good progress on processing new Instagram data, and we're on track to return to normal processing later this week. 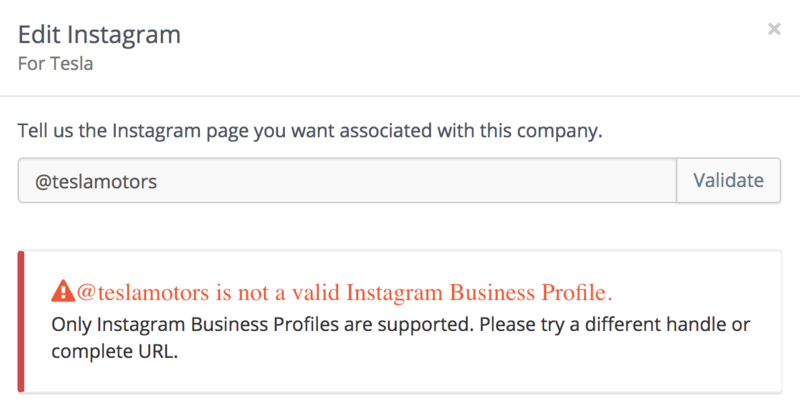 To learn which companies in your landscapes have Instagram Business Profiles, use our Instagram Audit tool to review your entire account in one place. Our team has identified the solution and will continue to make progress. We are hopeful that this fix will roll out as soon as mid-to-late next week. The majority of Instagram handles currently tracked by customers are Instagram Business Profiles. On Monday, you will be able to view the details on which profiles in your landscapes you’ll still be able to track. Most businesses, organizations, bloggers, and public figures, use Instagram Business Profiles. Curious about the details? In this article (Facebook Restricts Instagram Data Access. What Does it Mean? ), Seth Bridges breaks down what happened and what that holds for the future. Instagram ended the majority of their legacy API program yesterday at 11:55am PDT. Since that time, we haven’t been able to update with any new Instagram data. Instagram’s newest APIs will enable us to capture data for any Instagram Business Profiles. As a Rival IQ customer, data for any Instagram Business Profiles you’re tracking will return soon. 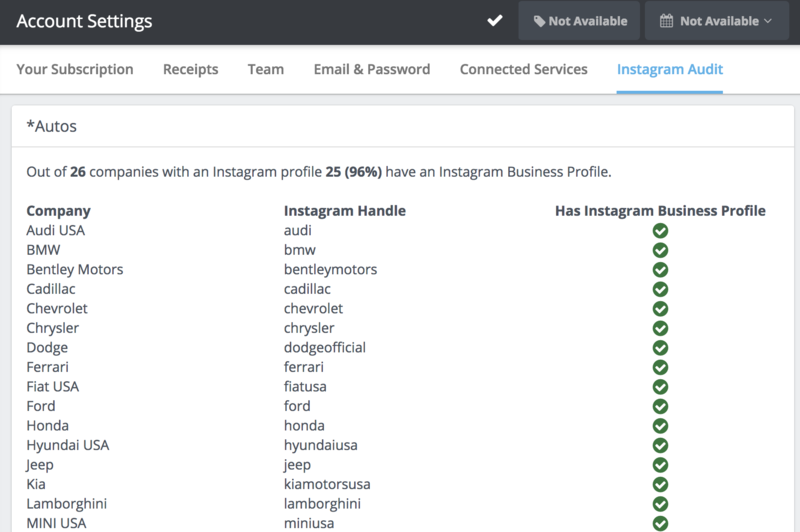 Tracking Instagram handles that are not Business Profiles is no longer possible. You will be able to access historical Instagram data for handles you were already tracking in Rival IQ. Our current plan of action is to restore data for all Instagram Business Profiles as soon as possible. We don’t have an estimate for going live with these fixes, but we’re talking about days, not weeks. If you haven’t yet heard, Instagram drastically changed what data third parties can access on April 4th. Many of these changes to their API were planned for later this year. Without warning its partners, Instagram accelerated these changes today. New Instagram handles cannot be added to company records. Instagram posts and profile data are not updating. This means that you won’t see new Instagram content in our Social Posts report, and metrics based on Instagram posts aren’t updating. Cross-channel metrics that include Instagram will slowly become unavailable, as there isn’t valid Instagram data to include here. Our Instagram search feature, Instagram Discover, is unavailable. Many of these changes are due to tightening privacy and security for users. We fully support their effort to ensure the security and privacy of everyone’s data and personal information. Though we’re still working out what pieces of Rival IQ will be permanently affected by these changes, I’m committed to being transparent and expedient in my communication to you throughout this process. Our team is hard at work restore a fully-functioning service to you. I apologize for the hassle these updates will cause you. Please know that we’ve got your back and are here if you have specific questions about your account.